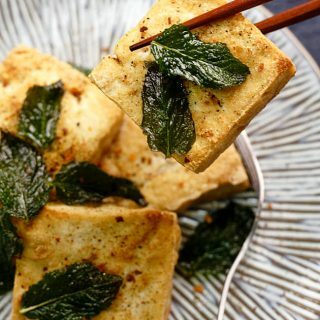 Learn how to make crispy tofu with pan-frying, using different types of tofu and how you can turn pan-fried tofu into something unique. Crispy tofu is a quite popular middle cooked ingredients in Chinese kitchen. 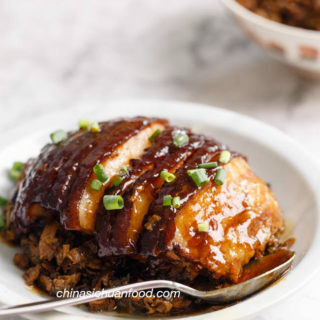 It can be served directly with salt and pepper or coated with a comforting sweet and sour taste. This is not only a single recipe but also an idea collection about how to make your tofu edible and yummy. In traditional opinions, tofu is plain and tasteless, even after cooking. 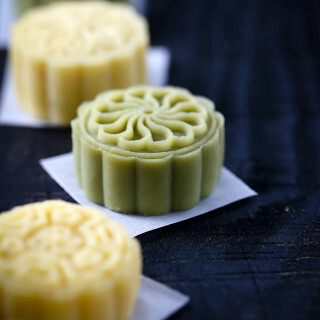 In Chinese cooking, we have an universally rule “有味道使其出，无味使其入”, literally means giving tasteless ingredients tastes and take the flavor from tasteful ingredients. The best practice of this rule is the famous Mapo tofu from Sichuan cuisine, in which a lot of seasonings and side ingredients are used and all of the flavors is wrapped by starch water. 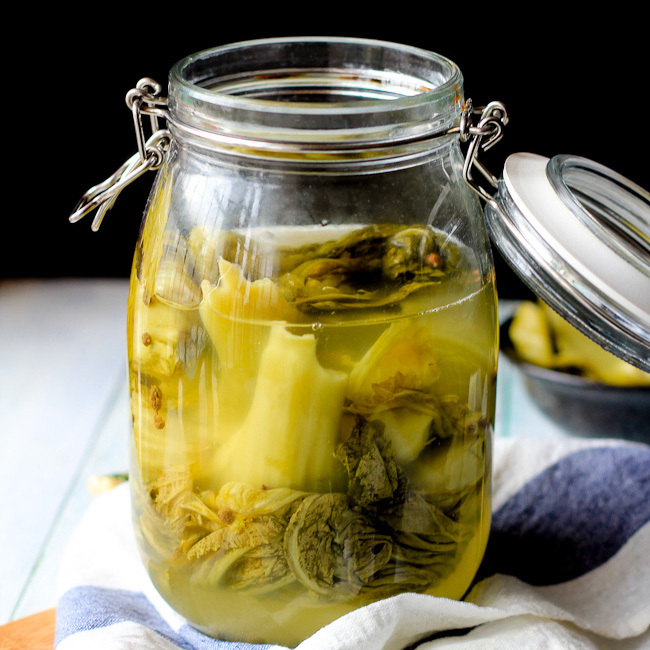 In this post, several ideas about how to turn the plain tofu into interesting and savory dishes. 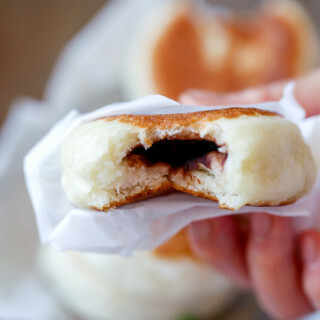 The most common tofu types on the market should be firm tofu (including regular firm tofu and extra firm tofu), soft tofu (regular soft tofu and silken tofu). You may find lots of recipes and instructions online ask to remove the extra water in the tofu block as a preparation for pan-frying, which is completely unnecessary. 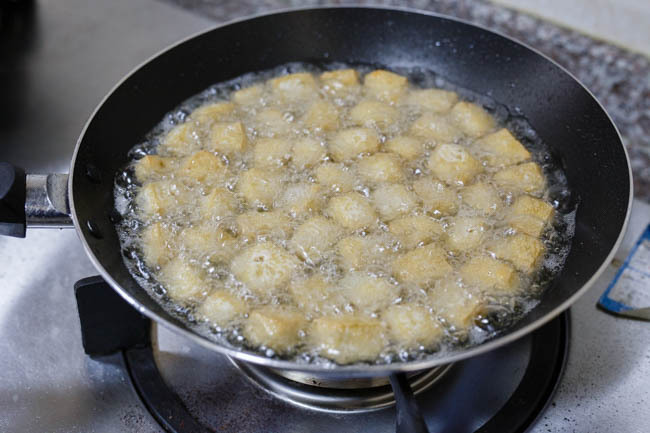 More water content indicates the fried tofu should be much tender. But they should be treated very carefully, since they can be easily broken. 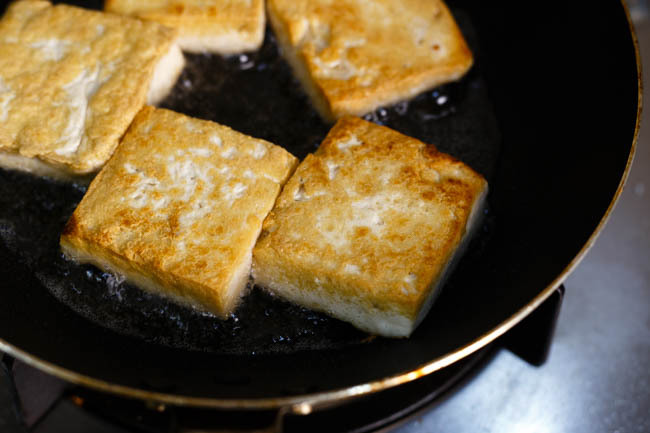 So this is the ultimate about how to make perfect crispy tofu using pan-frying. If you use regular firm tofu, cut them into 2cm thick triangle or rectangle or 3cm cubes and shallow fry with a thin layer of oil. 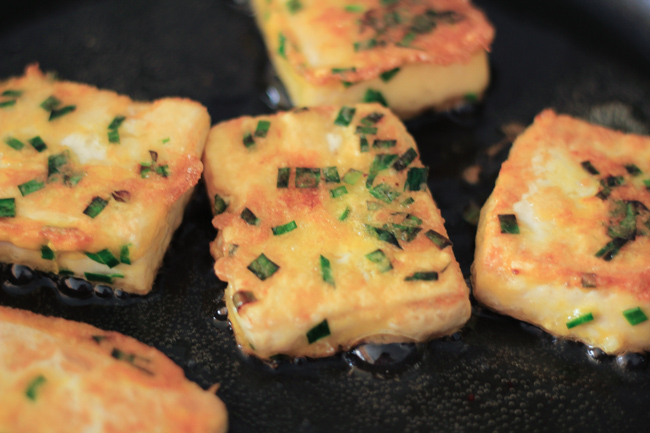 Pan-fried firm tofu is great for stir-fries or make a sweet and sour tofu and home style tofu. 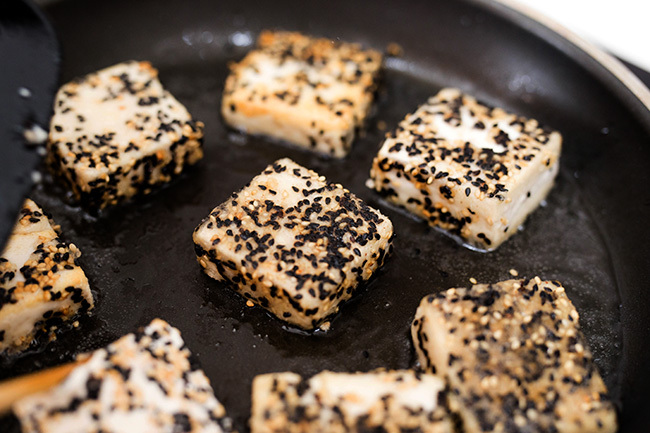 For firm tofu, you can also make it as large squares. But the tofu slices should be slightly thicker to achieve a tender inside. 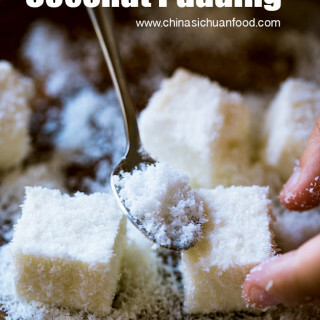 If you use soft tofu or silken tofu, Cut the tofu into small cubes and coat with a thin layer of cornstarch. 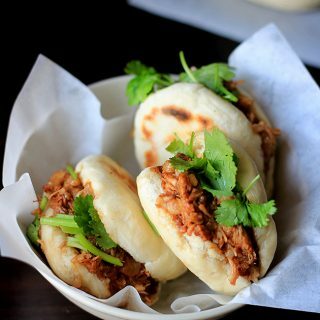 Once heated, the cornstarch will form a protecting shell, which is quite helpful to keep the tofu unbroken during the pan-frying process. 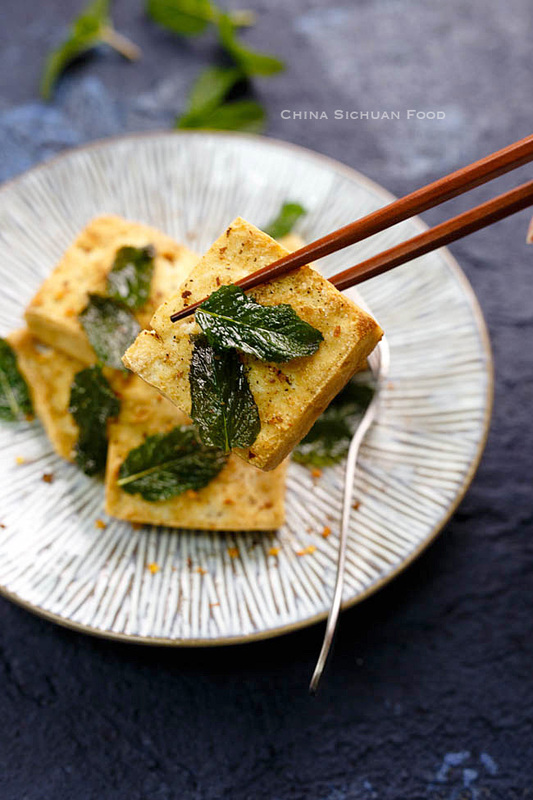 Pan-fried tender tofu is great to serve directly with dips and spices. In addition to directly fry tofu blocks or cubes, we can make coat different ingredients, either for adding flavor or changing texture. 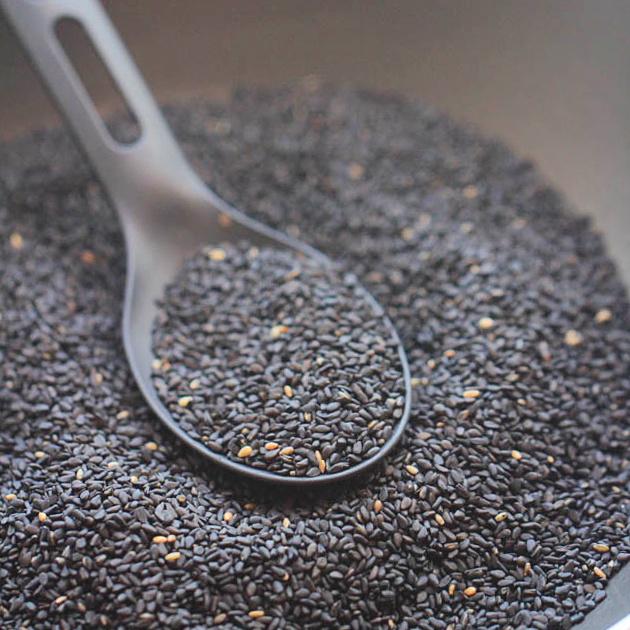 For example, coating toasted sesame seeds to make a more crisper version. 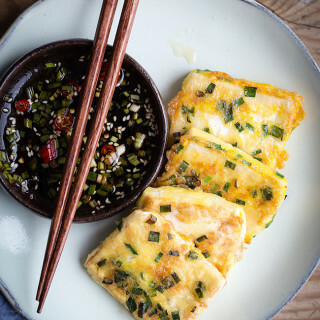 Or using egg, starch and chive to create a aromatic softer version. It is your choice of adding your favorite ingredients to your tofu. 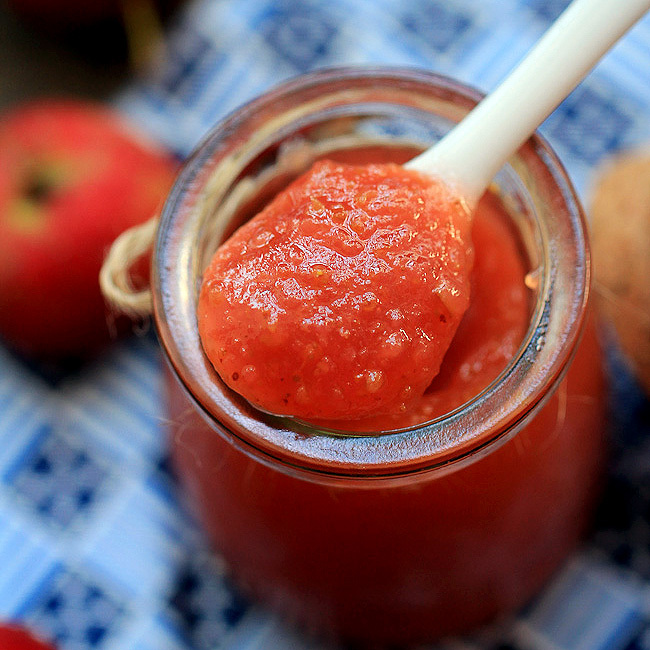 Besides, spices and herbs can be used to add flavors too. For example, fry several mint leaves firstly in the oil before pan-frying the tofu can give your crispy tofu slices a faint mint flavor. 1.Crispy tofu can be cooked with other sauces including Kong pao sauce, sweet and sour sauce or make a simple home style braised tofu. 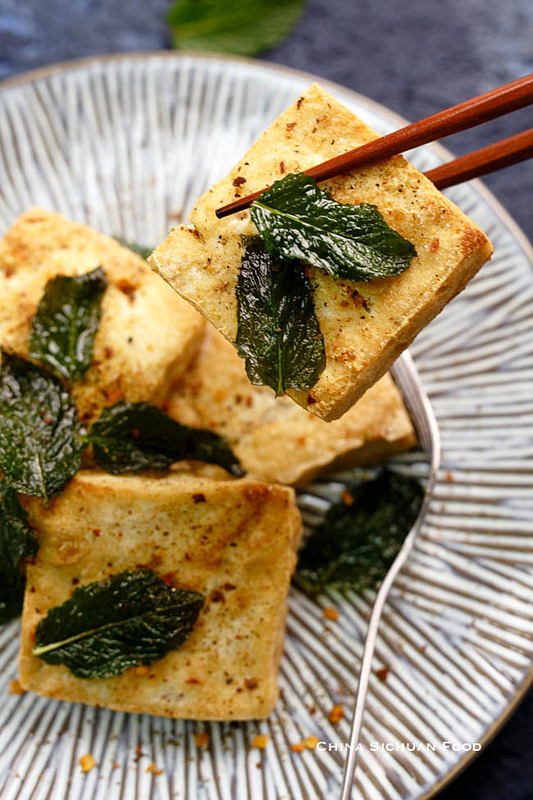 2.Crispy tofu can be served with dry spices or your favorite dipping sauce. Cut the tofu into slices around 4cm wide and 2 cm high. 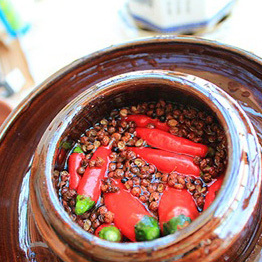 Wash the ming leaves gently and drain completely. 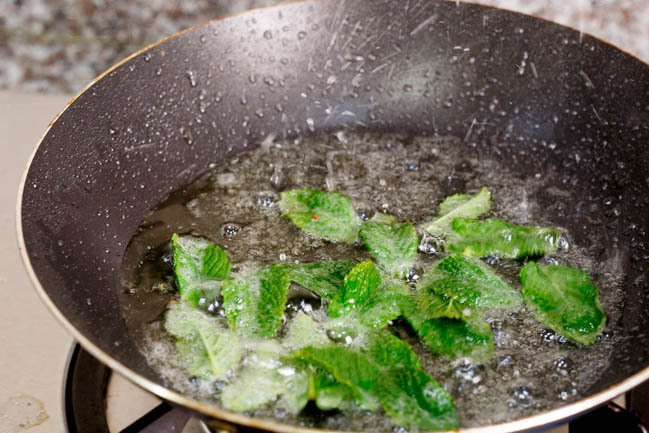 Heat the oil until slightly hot, add mint leaves and fry for 8-10 seconds until the leaves are aromatic but not burnt. Transfer the mint leaves out (be careful and do not get yourself burnt ) add the tofu slices in. Let the tofu slice stay in the pan for couple of minutes until the crispy shell forms. Then turn over and fry the other side. Fry until both side becomes golden brown. In another pan, fry salt and the spices over slowest fire. Sprinkle the dry mix on the tofu slices. Enjoy with the crispy mint leaves.